April brought the 2nd March for Science and the 48th anniversary of Earth Day. As the month ends, here are some titles to help with the work that must follow: communicating climate change. Last June, Yale Climate Connections published a two-part bookshelf devoted to books and reports on climate change communication. The last book in that selection was published in April 2017. 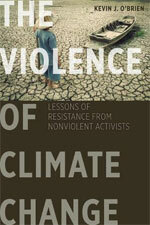 This bookshelf highlights books published since then and includes recent titles on climate change activism. 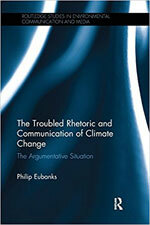 It includes two new reference works on climate change communication. 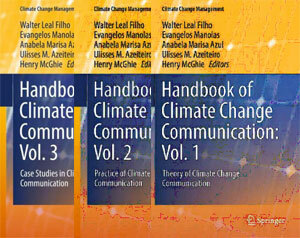 A separate review of one of these three-volume sets, Handbook of Climate Change Communication, will be posted this summer. The descriptions and links for both of these major releases are at the end of this list. 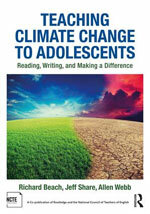 Teaching Climate Change to Adolescents is the essential resource for middle and high school English language arts teachers to help their students understand and address the urgent issues and challenges facing life on Earth today. Classroom activities written and used by teachers show students posing questions, engaging in argumentative reading and writing and critical analysis, interpreting portrayals of climate change in literature and media, and adopting advocacy stances to promote change. A variety of teacher and student voices makes for an appealing, fast-paced, and inspiring read. 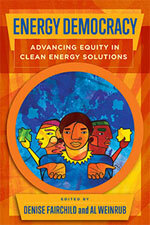 Visit the website for this book for additional information and links. “Relax,” writes author Mary DeMocker, “this isn’t another light bulb list. It’s not another overwhelming pile of parental ‘to dos’ designed to shrink your family’s carbon footprint through eco-superheroism.” Instead, DeMocker lays out a lively, empowering, and doable blueprint for engaging families in the urgent endeavor of climate revolution. 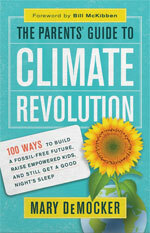 In this book’s brief, action-packed chapters, you’ll learn hundreds of wide-ranging ideas for being part of the revolution – from embracing simplicity parenting, to freeing yourself from dead-end science debates, to teaching kids about the power of creative protest, to changing your lifestyle in ways that deepen family bonds, improve moods, and reduce your impact on the Earth. Is there a way to reach people who hold mistaken assumptions about climate change? The simple, interactive exercises in The Climate Change Playbook can help students and citizens better understand climate change, diagnose its causes, anticipate its future consequences, and effect constructive change. Illustrated guidelines walk teachers/leaders through setting each game up, facilitating it, and debriefing participants. Users will find games that are suitable for a variety of audiences – whether large and seated, as in a conference or class room, or smaller and mobile, as in a workshop, seminar, or meeting. Designed by leading thinkers in systems, communications, and sustainability, the games focus on learning by doing. The 2016 election left many people who are concerned about the environment fearful that progress on climate change would come screeching to a halt. But not Michael Bloomberg and Carl Pope. 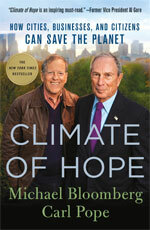 In Climate of Hope, Bloomberg, an entrepreneur and former mayor of New York City, and Pope, a lifelong environmental leader offer an optimistic look at the challenge of climate change, the solutions they believe hold the greatest promise, and the practical steps that are necessary to achieve them. They provide a road map for tackling the most complicated challenge the world has ever faced. Along the way, they turn the usual way of thinking about climate change on its head: from top down to bottom up, from costs to benefits, and from fear to hope. Climate change is viewed as a primarily scientific, economic, or political issue. While acknowledging the legitimacy of these perspectives, Kevin J. O’Brien argues that we should respond to climate change first and foremost as a case of systematic and structural violence. Climate change is largely caused by the carbon emissions of the affluent; it is violence because it divides human beings from one another and from the earth. In response, O’Brien points to the practical examples of activism and nonviolent peacemaking provided by John Woolman, Jane Addams, Dorothy Day, Martin Luther King Jr., and Cesar Chavez. Their idealism, social commitment, and political savvy, he argues, offer lessons for the struggle against climate change. On April 22, 2017, more than one million marchers worldwide took to the streets to stand up for the importance of science in society and their own lives. Through signs, artwork, stories, and photographs, Science Not Silence shares some of the voices from the March for Science movement. A citizen scientist with advanced ALS spent countless hours creating an avatar so that he could give a speech. Couples carrying babies born using in vitro fertilization dressed them in shirts that said “Made By Science.” Activists championed the ways science should serve marginalized communities. 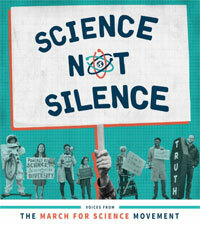 Science Not Silence celebrates the success of the movement, echoes the passion of its supporters, and reminds everyone how important it is to keep marching. Energy Democracy brings together racial, cultural, and generational perspectives, bound together by a common operating frame: that the global fight to save the planet must fully engage community residents and must change the larger economy to be sustainable, democratic, and just. The contributors offer their perspectives and approaches to climate and clean energy from rural Mississippi, to the South Bronx, to Californian immigrant and refugee communities, to urban and semi-rural communities in the Northeast. Taken together, the contributions in this book show what an alternative, democratized energy future can look like, and will inspire others to take up the struggle to build the energy democracy movement. 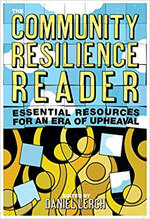 Through essays by leaders in such varied fields as science, policy, community building, and urban design, The Community Resilience Reader combines a fresh look at the challenges humanity faces in the 21st century, the essential tools of resilience science, and the wisdom of activists, scholars, and analysts working with community issues on the ground. It shows that resilience is a process, not a goal; how resilience requires learning to adapt but also preparing to transform; and that resilience starts and ends with the people living in a community. Despite the formidable challenges we face, The Community Resilience Reader shows that building strength and resilience at the community level is not only crucial, but possible. 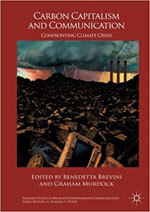 This volume examines the role of communication in contributing to and contesting the current climate crisis. There is now widespread agreement that even if increases in carbon emissions are kept to the current international target the climate crisis will continue to intensify. This book brings together, for the first time, state-of-the-art research with activists’ interventions to place debate around climate crisis within the wider conversation about the changing relations between communications and contemporary capitalism. Contributors include Naomi Klein, Michael Mann, Alan Rusbridger, Vincent Mosco, Jodi Dean, and leading figures in Greenpeace and 350.org. Despite an overwhelming scientific consensus, climate change remains one of the most controversial issues of our time. Focusing on the rhetoric that surrounds the issue of climate change, this groundbreaking book analyzes why the debate continues to rage and examines how we should argue when winning the argument really matters. Eubanks explains the mutually exacerbating problems that permit many of us to greet catastrophic predictions with an equivocal shrug. He argues that the argumentative situation around climate change makes “fair-minded skepticism” not only possible but likely. He strikes a hopeful note, reminding us that people do change their minds in response to effective argumentation that appeals to deeply shared values. This book is about the cultural patterns that surround our perception of the environmental crisis and which are embodied in the narratives told by climate change advocates. It investigates the themes and motifs in those narratives through the use of narrative theory and cultural sociology. Developing a framework for cultural narrative analysis, Climate Change and Storytelling draws on interviews with stakeholders, activists and politicians in the USA and Germany to identify motifs and the relationships between heroes, villains and victims, as told by the messengers of the narrative. 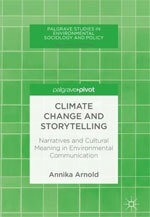 Arnold provides academics and practitioners with insights into the structure of climate change communication among climate advocates and the cultural fabric that informs it. Examining how climate change is communicated in politics, news media and celebrity culture, Climate Change and Post-Political Communication explores how the issue has been taken up by elites as potentially offering a sense of purpose or mission in the absence of political visions of the future, and considers the ways in which it provides a focus for much broader anxieties about a loss of modernist political agency and meaning. 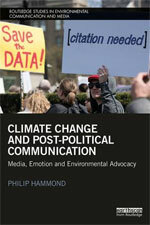 Drawing on a wide range of literature and case studies, and taking a critical and contextual approach to the analysis of climate change communication, this book will be a valuable resource for students and scholars of environmental studies, communication studies, and media and film studies. State of the art synthesis and review of research across a comprehensive set of topics related to climate change communication, a rapidly growing interdisciplinary and international field that bridges research and practice. 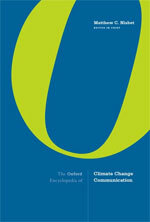 Scientists and the civil society sector increasingly look to insights from the social sciences on how to more effectively engage the public and policymakers on climate change; The Oxford Encyclopedia of Climate Change Communication features an unprecedented network of contributors who have authored articles unmatched in terms of their comprehensive coverage, international scope, scholarly depth, and applications to professional practice. 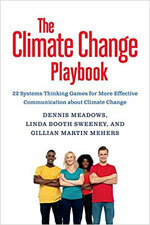 This comprehensive handbook provides a unique overview of the theory, methodologies and best practices in climate change communication from around the world. It fosters the exchange of information, ideas and experience gained in the execution of successful projects and initiatives, and discusses novel methodological approaches aimed at promoting a better understanding of climate change adaptation. Addressing a gap in the literature on climate change communication and pursuing an integrated approach, Handbook of Climate Change Communication documents and disseminates the wealth of experience currently available in this field.